At Life Chiropractic we make every effort to share our love and leadership in health so that you leave your visit with an elevated spiritual well-being. Upon entering our office, our friendly receptionist will welcome you as a member of our family. We will request that you complete our patient forms located below. This paperwork provides us with your health history and information on your condition. Please fill out thoroughly as this information can help us reach optimal results. Next, you will have a consultation with our Wellness Coordinator or the Doctor to discuss your health-related concerns and potential treatment options. This initial visit is designed for Dr. Wendt to learn more about you, your condition and expectations to determine how he can help you meet your goals and above all help you live a pain-free life, naturally. After your consultation, Dr. John Wendt will perform a complete chiropractic spinal, neurological and orthopedic examination. Further investigation must be done before an initial treatment to ensure you are given the best solutions for your specific needs. Depending upon your needs, Dr. Wendt may order X-rays to evaluate the severity of injury or degeneration to the spine to give accurate treatment options. Dr. Wendt may also order blood chemistry to evaluate the severity of underlying organ distress, urinalysis to evaluate electrolyte usage and oxidative damage, or saliva panels to measure the hormonal imbalances causing many subclinical symptoms. If further studies are ordered, Dr. John will perform a secondary examination of the organ systems through Applied Kinesiology (Muscle Response Testing) and Chinese Acupuncture Meridians of the Five Elements. At the conclusion of this initial appointment, you may choose to experience your first treatment. This may include spinal adjustments, physical therapy, soft tissue/myofascial, cold laser therapy, Neuro-Emotional Technique, and/or a nutritional or detoxification workup. Treatment is interactive, so you may express concerns about the different styles of treatment at any time. Find out more about Our Approach here. Having a healthy spine whether through rehabilitative or preventive treatment requires ongoing care. Attend one of our workshops and you’ll learn more about the 4 main (universal) reasons people have symptoms and dysfunction. Dr. Wendt will share some of his great results, simple self-care techniques and more deeply explore how you too can enjoy a pain-free life. These workshops are a great way to bring friends and family into the practice to gain insight into healthy living. This workshop has the potential to change your life. For new patients to our office, we provide the needed intake forms below. Download all of the forms, print them, fill them out, and bring the forms in with you to your consultation. If you are unable to print these documents, new patients may also come in and fill out the paperwork at the office. In that case, patients need to arrive 15-20 minutes early for the scheduled consultation. 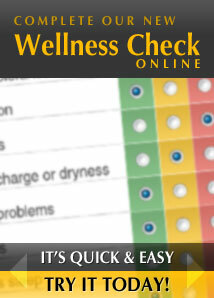 Try the Wellness Check Questionnaire to help benchmark your wellness!